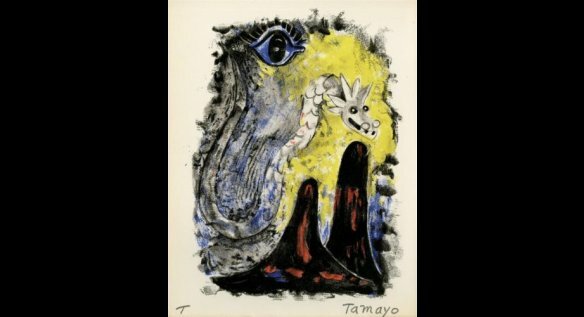 This is a rare limited edition HC (20) Hand Signed Lithograph, "Ojo y Serpente" by Rufino Tamayo. Rufino Tamayo (Mexican, 1899 - 1991). 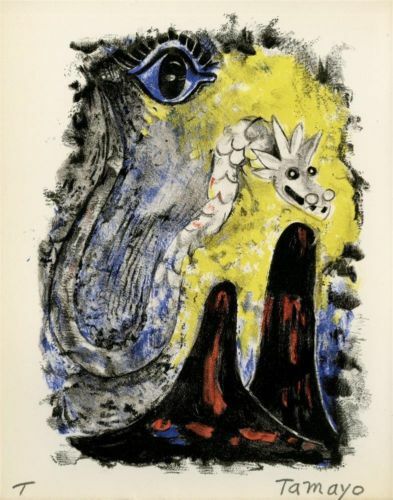 "Ojo y Serpiente". Color lithograph. 1952. Signed in pencil, lower right; editioned lower left. HC print "T" from the edition of 20. Light cream wove paper. Full margins. Fine impression. Fine condition. Literature/catalogue raisonne: Pereda 46. Provenance: Private collection, Mexico City. Image copyright © Tamayo Heirs/Mexico/Licensed by VAGA, New York, NY. Overall size: 9 7/16 x 7 1/2 in. (240 x 190 mm).